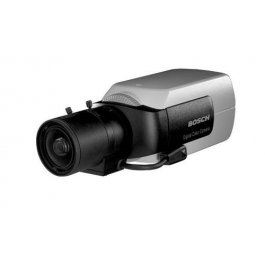 The Bosch LTC0455 Series are compact rugged, 1/3-inch image format digital color CCD cameras. Their superior sensitivity, 540 TVL resolution and picture quality provide optimal performance in virtually all situations. Easy Installation, digital signal processing, on screen displays, superior picture quality and reliability, brings the video performance of high resolution color cameras to a level never reached before and makes the Bosch LTC0455 Series the best choice for first time and professional users. This fully automatic camera is ready to work for you, and is easy to install in even the most demanding applications. On-screen Displays (OSD) provide quick and easy access to all camera features. cameras, enhances contrast by removing veiling glare from the picture. NightSense is used to further extend the excellent sensitivity by a factor 3 in monochrome operation. This mode can be automatically activated under low light situations. Automatic sensing for tracking white balance, provides true to life color images in indoor and outdoor applications. The ability to operate on AC or DC provides added flexibility to system designs and reduces the amount of training and support items to keep on-hand. video cable. Bilinx reduces service and installation time, provides for more accurate set-up and adjustment, and improves overall performance. In addition, Bilinx uses the standard video cable to transmit alarm and status messages, providing superior performance without additional installation steps.